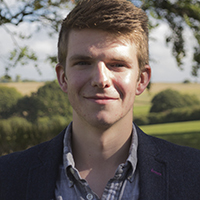 As a mechanical engineering student, I looked for a placement that offered both the opportunity to put into practice the skills and knowledge that I had gained so far in my degree, and also to gain a broader understanding of engineering in a business environment. 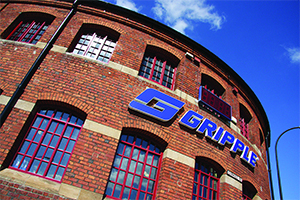 Following a very successful visit to their premises with SELA, I applied for a summer placement at Gripple Ltd, a Sheffield based engineering company specialising in wire tensioning devices and overhead suspension systems. Having applied through the People and Culture department I was invited for an interview with Neil Clarke and Charlotte Hill, both of whom were product managers in the marketing department, and was lucky enough to be offered a placement. I had a range of responsibilities for the 10 weeks I was with Gripple, some within the remit of the marketing department and some out of it, but the main deliverable for my time there was a certification audit. Gripple manufactures well over 200 different products and kits, and each of these require approval and testing certification for different markets and customers - my task was to produce a definitive record of everything currently held by Gripple and then to identify any gaps in the certification that needed to be filled. The resulting directory enabled Gripple staff to quickly answer customer requests for certification and also ensured that further testing was not carried out where certification already existed, something that had been an issue at Gripple. Outside of the marketing department I was also involved in product development work. The assigned project was to design and develop a product to secure commonly used cable basket for overhead electrical cables to an existing Gripple bracket range. This has two advantages, firstly it saves on hardware, reducing time and money for end users, but more importantly it is far safer in the case of a fire as traditional fixing methods are prone to failing in high temperatures, allowing the cables to fall. Commercially, this takes an established Gripple product and opens up another market and application that is not currently serviced, thereby adding incremental sales. The development involved a lot of work with 3D printers as these allowed me to test each iteration of the prototypes in a matter of hours, rather than days. This aspect of the placement was particularly valuable to me as it brought to reality all the principles and processes I’ve been taught in the first 2 years of my degree and directly influenced the direction of the product, although the project is still ongoing. The project also acted as a catalyst for me to learn from the experience of the other engineers around me. Whenever I encountered an issue or needed a second opinion the people around me were more than happy to help, which helped me to learn as well as helping with the progression of the project. Looking back at my time with Gripple I see it as a great success - I was able to achieve everything I wanted from the placement, gaining experience and broadening my horizons. Having also discussed some ongoing work with the product managers, alongside my university work, I look forward to what the future holds for the company and me.